The word ‘hoarding’ is trending, and not only trending but it is a newer definition of the word that is a trend unto itself. If you are still with me, the first thing to point out is the transformation of the word ‘hoarding’. Before 2009, hoarding simply described the gathering and hoarding of goods, typically by animals before periods of scarce natural resource availability. In 2009, A&E aired the first season of its hoarding show, on which families and individuals with compulsive hoarding tendencies were highlighted and assisted in cleaning their property and fixing their problem. Since then, I would argue that the word hoarding has become the most over-used word in the English language. 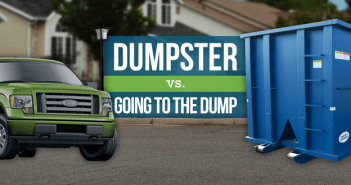 I may be biased, as a member of the home cleanup and dumpster rental community as I hear it much more often than I should, but the show has started a phenomenon that is still trending. 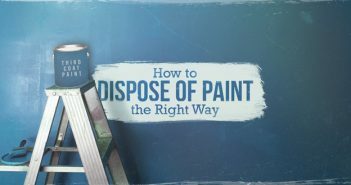 For those that haven’t watched A&E’s program, it finds extreme examples of people that hoard materials, (whether they are useful household materials, mementos or general trash), and hoard so much that their houses are no longer recognizable due to piles of debris that would fill dozens of construction dumpsters. These people are unique, and depicted as chemically imbalanced in their love of their hoarded debris, which the other 99% of the world would view as a disgusting and offensive way to live. For anyone familiar with this hoarding trend, they may identify any person with clutter in their basement or a collector of any sort as a hoarder. This is the misconception to which I previously referred. While less than 1% of the population has a true hoarding problem, and would need roll off dumpsters to clean up their debris, I would guess that 90% of the remaining population has average clutter in their homes that is normal to be built up over time for an average homeowner. To an outside perspective, the people that make up this 90% unfairly receive the ‘hoarder’ stigma. Anyone involved in the dumpster rental industry would agree that the word hoarder is applied too casually, and in many cases unfairly. If you lose an older member of your family, and are issued with cleaning up their house, you will certainly notice an accumulation of stuff – this is typically NOT hoarding. 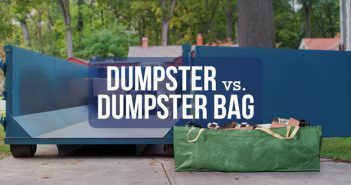 It may require a large roll off dumpster, but only because they identified with material possessions about which you disagree, where a true hoarder fills multiple dumpsters with junk that no one in their right mind would ever need. It is an offensive trend that can only be stopped by first identifying the problem – hopefully this helped.